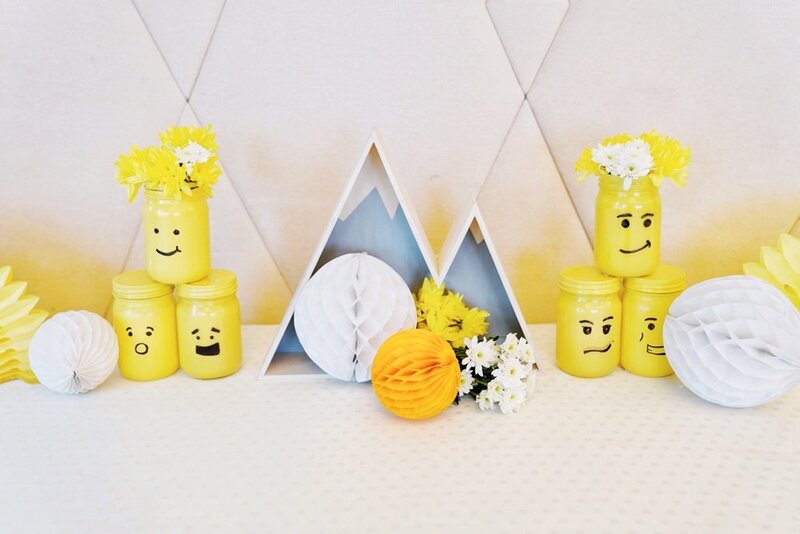 When Jared’s mom approached us and requested for a Lego party, we jumped at the chance to do a clean yet bright and modern look - something that complements Lego’s distinctive brand while softening it without taking anything away. We used a cheerful color palette of white, yellow, and orange (which is Jared’s favorite color), with thoughtful pops of red, blue, and green. 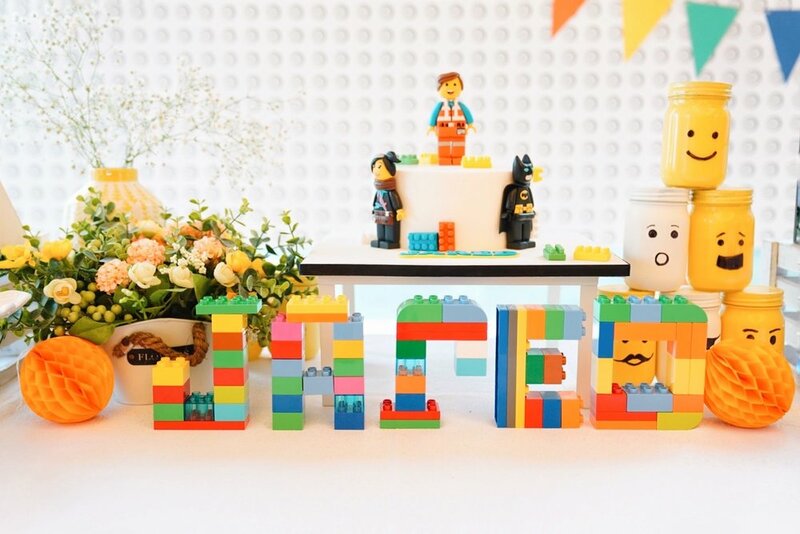 We balanced the colorful dessert table with a mainly white Lego plate backdrop that had colorful tassels running through it. 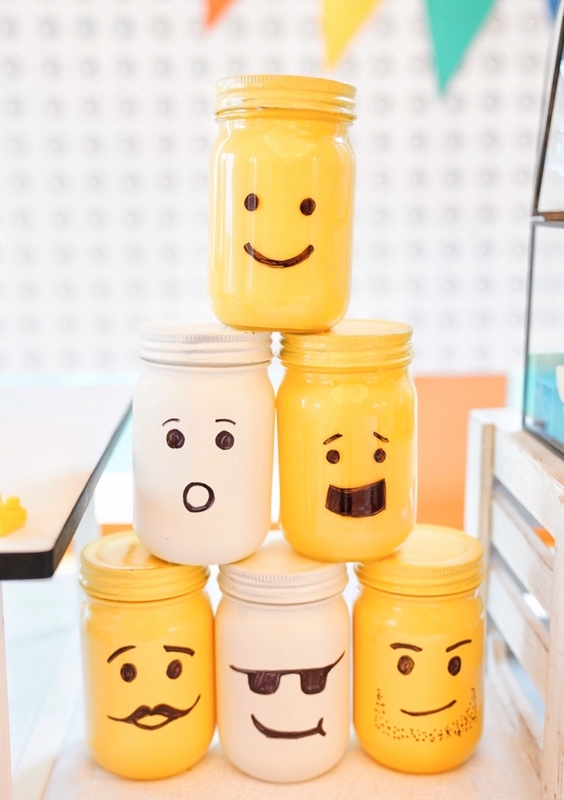 We built Jared’s name with Lego blocks (because any kid will think that’s cool) and strategically placed handmade white and yellow Lego minifigure mason jars. We added in some clean, straight lines and shapes with different textures to add some character to the table and add variety to the rest of the elements. 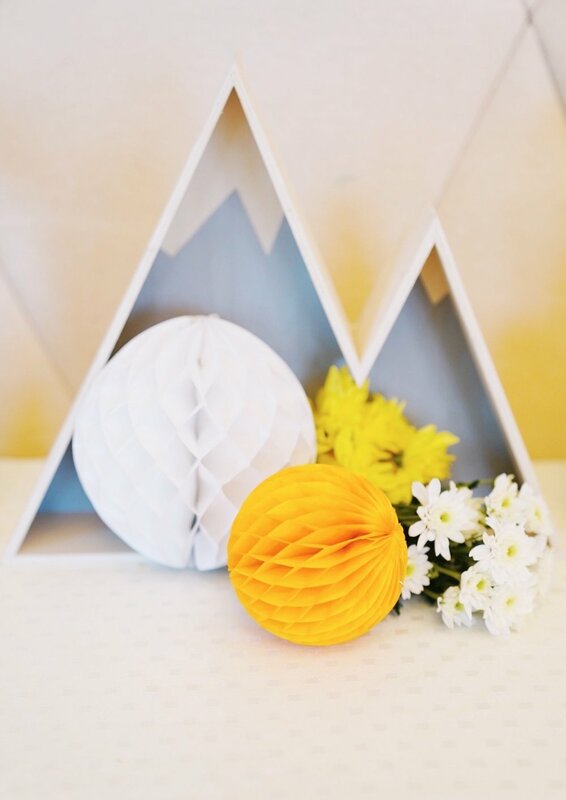 As our clients know, we usually create vignettes on the fly if we have ample time to setup (*hint hint to prospective clients) so we did a really cute one for the food table with leftover mason jar, flowers, paper honeycombs and fans, and balloons. 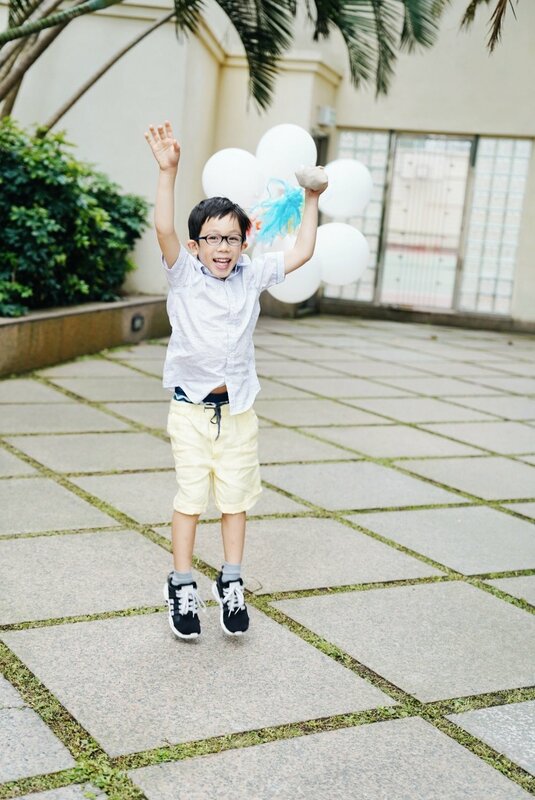 Oh, did someone mention balloons? We had the best time doing this HUGE rainbow balloon garland that drew everyone outside. Best photo backdrop ever! So in love with the colors of this one. 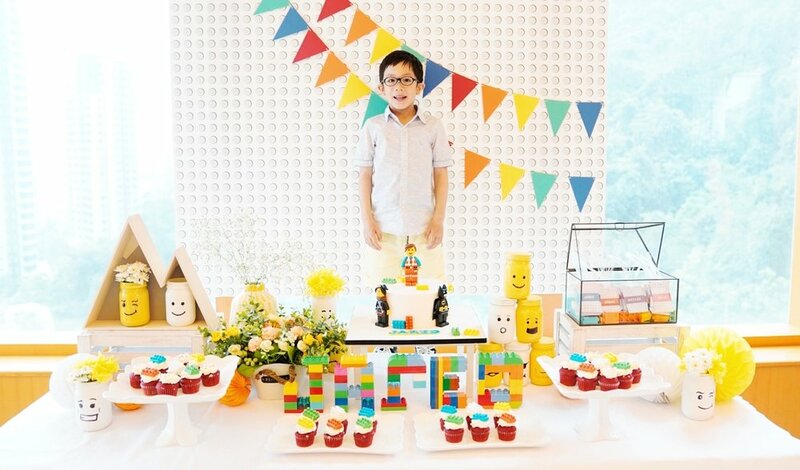 Jared loves Lego and we built this party especially with him in mind, from the colors to the cake and decor.